Sometimes there are situations where the only choice remaining for a patient is to remove teeth, sometimes all the teeth. While this is the last option someone would want to choose, it does not mean that one would have to go without any teeth. Dentures have come a long way with better materials and a more comfortable fit. The teeth look very natural. Ideally, dentures should be made to snap on to implants, since that will allow the patient to eat and taste things pretty similar to when they had natural teeth. Partial dentures can also be made if some of the patient's teeth are still healthy. 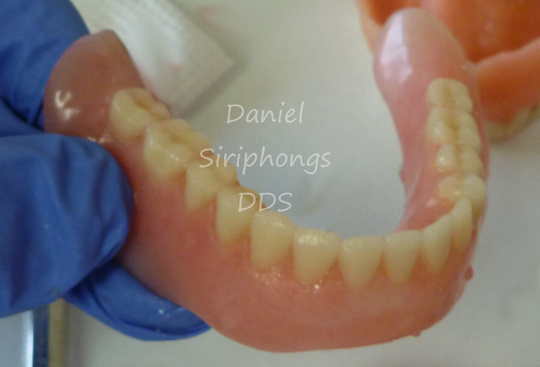 Partials snap on to the remaining teeth. If not placed on implants, the dentures can be made to be comfortable, though they may be slightly more loose. 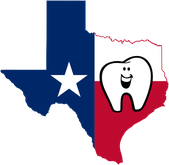 Call our office today for an appointment to discuss dentures and implants. 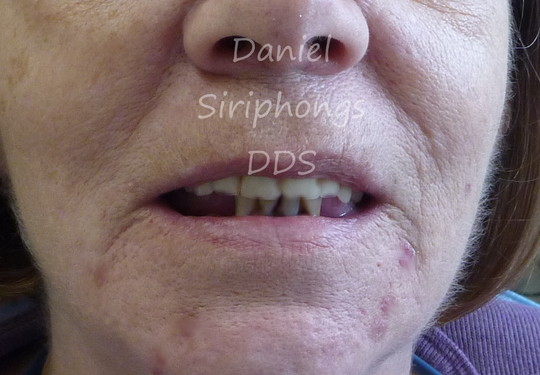 The patient was missing a lot of teeth and her old partial denture on top had chipped edges and was very stained. The dentures are made of a strong, gum-colored acrylic. The teeth are made of a natural looking white acrylic that is strong. The patient has the new dentures in her mouth. She was very happy to get new teeth and was looking forward to eating and chewing food again! 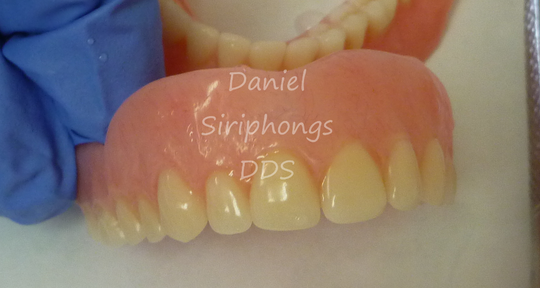 Created by Daniel Siriphongs DDS - All content is protected by intellectual property laws.